Caption: Helmeted Guineafowl (Numida meleagris) looks over it shoulder while perched on a tree stump in South Africa's Kruger National Park. 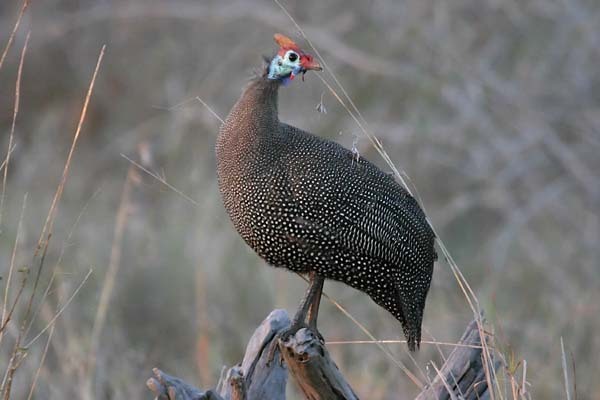 Image dimensions: 2250 x 1500 pixels Print dimensions at 300dpi: 7.5" x 5"
There are a couple of different angles available of this Helmeted Guineafowl stock photo taken in the Kruger National Park. If you'd prefer a vertical photo, please have a look at this shot or email me and I can send you thumbnails of alternatives.